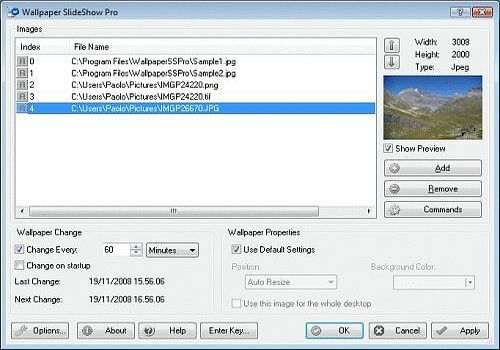 Wallpaper Slideshow Pro is a great utility for displaying your favorite photos as desktop wallpaper. Wallpaper Slideshow offers you complete control on your wallpapers collection. It has lots of options that allows you customize the way wallpapers are created and displayed, for example for each image you can decide whether it must be automatically resized to fit the screen, centered, tiled or spanned across your multiple monitors.